As much as we love the idea of creating spot-on, elaborate costumes for Halloween, we don’t always have the time (or the dedication) to create exact replicas of our favorite characters—especially when you’ve got your S.O. to think about. Of course, just because you’re putting together a last-minute couples costume doesn’t mean it has to be boring or a cliché. If we’re being honest, one of the best parts of dressing up for Halloween with your partner is the amount of Instagram opportunities you’ll have (because obviously). Whether you’re snapping an iconic pose from a movie or letting the costume speak for itself, we have no doubt that you’ll be racking up the likes come October 31. Ahead, we’ve gathered some of the coolest pairs to channel this Halloween. The best part? They require minimal planning. Whether you’re going as an iconic duo like Barbie and Ken or as your favorite celebrity couple, these are costumes the two of you will actually want to wear. 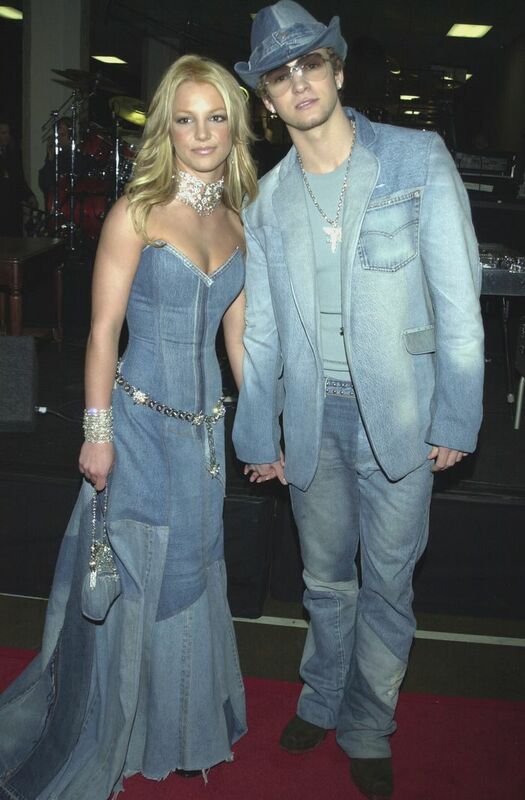 Let's be honest: Who could ever forget this denim-on-denim-on-denim outfit from Justin Timberlake and Britney Spears? Nail the look with your own chic denim relics from the early aughts, like a rhinestone belt. How good is this dress? Rhinestone belts have become an editor favorite. Wear this after Halloween, too. Available in sizes 27 to 36. As one of the most talked-about couples of the entertainment industry, the Kardashian-West team is a no-brainer to channel (and easy, too). Sport the couple's signature look with basic neutrals. This dress is a classic. If you haven't already noticed, Matrix-inspired sunglasses are everywhere. You'll never go wrong with a graphic tee. It wouldn't be a Kanye costume without a pair of Yeezy boots. Available in sizes 40 to 47. Between the royal wedding and Markle's fashion choices, Prince Harry and Meghan Markle have become the iconic couple of the year. With classic pieces like a pleated skirt and suit pieces, you'll channel the pair perfectly. You'll want to wear this skirt to the office after Halloween. This will look so stylish on your man. Available in sizes 29 to 36. Name a more iconic couple than Barbie and Ken—we'll wait. Emulate this glam couple with a striped swimsuit, fur coat, and tuxedo. This swimsuit is so flattering. Leave it to Shrimps to make the cutest faux-fur coat. We love this subtle texture. 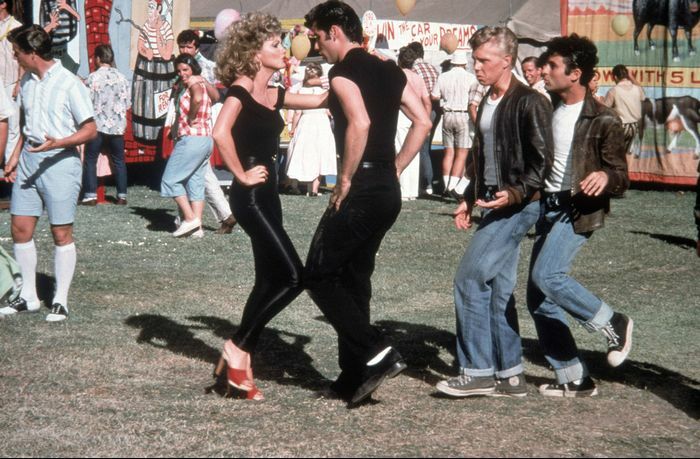 We'll never get tired of Sandy and Danny from Grease. With nearly all-black outfits, these costumes will be the easiest ones of the year. This flirty top is everything. These will look so chic on you. Because you can't have too many plain tees. A pair of jeans to live in. Available in sizes 33 to 36. Show the world who your partner in crime is as you dress up as Bonnie and Clyde. You'll be the most fashionable couple in the room. Wear this in the fall or the spring. A beret will give your costume the final touch. You can never have too many crisp white shirts. Available in sizes 15 to 18.5. You can't go wrong when you channel Sloane and Ferris from Ferris Bueller's Day Off. Sport your favorite '80s staples like fringe jackets and sweatervests. You'll get so many compliments on this jacket. You can always use a basic white tee. A sweatervest will get you into the '80s swing. Available in sizes XS to XXXL. This will easily be one of the most entertaining date nights yet.